You can create a Sharable Link to your media Player into your computer's Clipboard. The copied link can then be copied anywhere that accepts text and links. When your viewer clicks on the link it will open a website containing your Media Player. No other information is shown apart from your published Player. This is a great option if you don't have a website or just want to share media quickly with your colleagues or clients. If you want to check out some demos and and extra information please visit our Video Players Information page. To generate a Sharable Link simply select the media you wish to publish from the media panel. 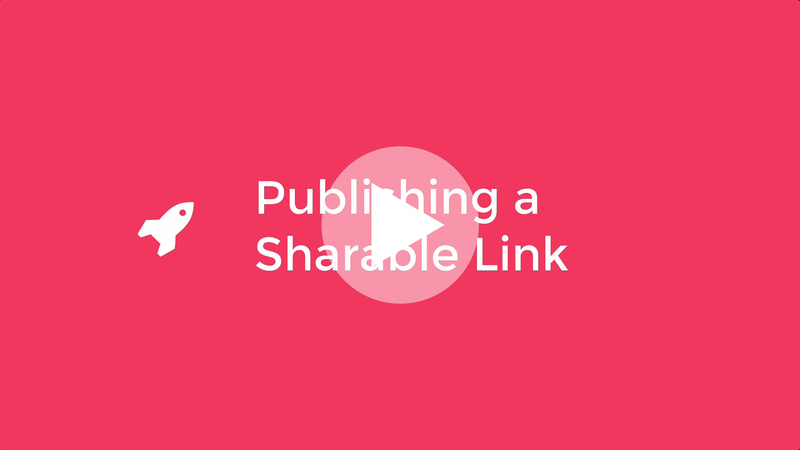 Select the 🔗 Shareable Link button. You can click on the 👁 Preview button to preview what your player will look like when someone clicks on your link. When ready simply click on the Copy to Clipboard button to copy the Shareable Link to your computer's ClipBoard. With the Shareable Link copied you can go and paste it anywhere that allows you to enter Links or text such as your Skype, Messenger, Emails, Forums etc..